The District of Columbia, known to many in the city as ‘the last colony,’ does not have many things afforded to the 50 states, including budget autonomy. Mayor Vince Gray and the D.C. Council cannot pass a final city budget without congressional approval. In addition of having a sub par status, the District has doubled as a political chess piece for representatives in Congress and most especially President Obama. The road to autonomy and ultimately statehood has proven a long and treacherous one. When the federal government was in threat of shutdown in late 2010, no one suffered more than the residents of the District who feared a shutdown of their government in addition to the federal government’s. In May, Rep. Darrell Issa (R-CA), chairman of the House Oversight Committee, pledged to fight for the District’s budget autonomy. A bill introduced by Issa on Wednesday would have given budget autonomy to the District and a step in the direction towards eventual statehood. Local leaders rejected the bill that very same day and for good reason. Deep within the crevices of the bill was a measure that would extend a temporary ban on government funded abortions, making it a permanent fixture. 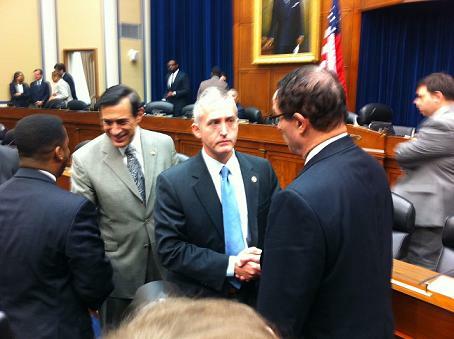 Kudos to Rep. Issa for his attempts to form a bipartisan coalition in the interests of the District. However, it is quite obvious that there are people involved who have their own interests in mind. It is quite understandable why it would lead to this. President Obama used the District as a chess piece in late 2010; a move that ultimately imposed the temporary ban on government funded abortions. He ultimately is to blame for a culture of political chess that has been a detriment to the D.C. statehood movement.The same culture that he crusaded against during his 2008 campaign. co-sponsor of the D.C. Voting Rights Act of 2007. 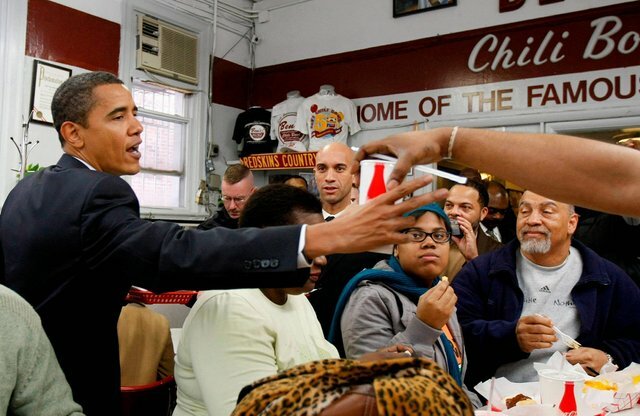 He toured the District and ate chili dogs with then Mayor Adrian Fenty at Ben’s Chili Bowl. In April 2010, on Emancipation Day, he said that ‘the time is now’ for D.C. statehood because “although D.C. residents pay federal taxes and serve honorably in our armed services, they do not have a vote in Congress or full autonomy over local issues.” He supported the D.C. statehood movement at the dedication of the Martin Luther King, Jr. Memorial . So why make the people of the District, his neighbors, sacrificial lambs in order to please his peers on the other side of the aisle. That is a sign of no conviction on the part of President Obama. This new bill shows promise given Rep. Issa’s willingness to cooperate and run pieces of the bill by Delegate Norton but no one must forget who originally facilitated this political chess game. As President Obama is on the campaign trail, what he put into effect has the potential to see permanent institution. The people of the District will not forget that the president is a man of many inconsistencies. The rest of the country will not forget it either. Given the ‘reality show’ that is the GOP primaries, President Obama will most likely win by a close margin in 2012. That will not happen before he will answer for those inconsistencies. No one knows who President Obama is or what he stands for. If he does not let residents know, he could lose their trust. That is something for him to keep in mind as he goes into election mode. Now is time for him to make an appeal to the people of the District. It’s only three votes in the electoral colleges but now every vote counts, especially in these politically frustrating times.